This year the back to school routine doubles for me as I prepare to send my second son to kindy. I can't believe he is so grown up...there were any days where I didn't think this wild child of mine would make it haha! 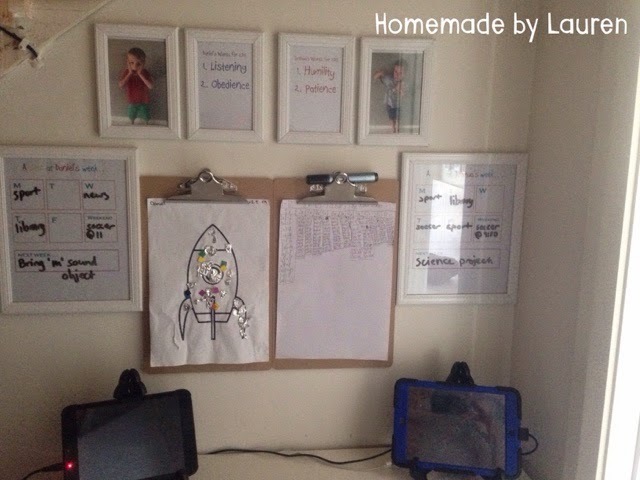 I have wanted to streamline the school storage process for a while and with Mr 5 starting, I want to implement this as he starts. If I can begin the year with a good system, it 'may' help him to learn to organise his things that little bit more. For those that know me, you know that I love order, organisation and labels! So I was bursting with this project. 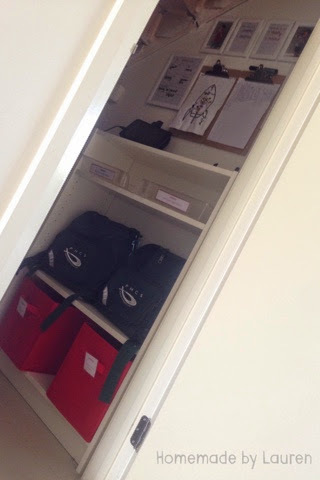 Under our stairs is now neatly set up with a school storage unit. Excuse the poor photos, it's a hard space to photograph. There is a photo of them each and also a frame with their two words that they are focusing on for the year. My eldest son has humility & patience and my second son has listening and obedience. These key words are a great way to set goals that are appropriate for their age and make it easy to understand. We asked them to choose their own words too. There is a clip board for any art works or creations and their 'devices' are charged here also. We finally found the perfect spot as not to be charging in their rooms. 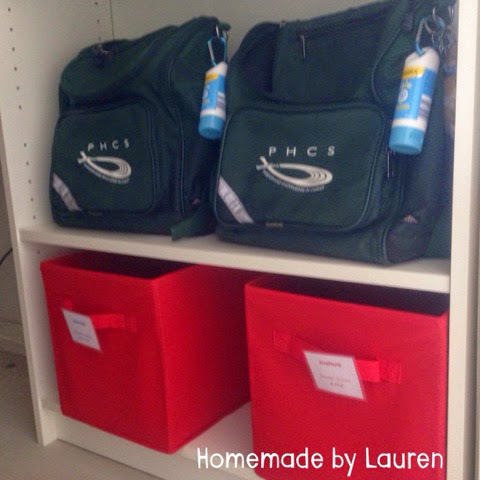 The in-box sits on the first shelf and says : "homework and notes". We used a bookcase we already had (a small bookcase from IKEA), some storage bins from Bunnings (under $5 each) and some 'in-trays' and photo frames from Kmart (all very cheap). All up including the 3M Velcro strips it cost me under $50. I am so excited to have things sorted before the onslaught of paperwork and school supplies bombard the house. 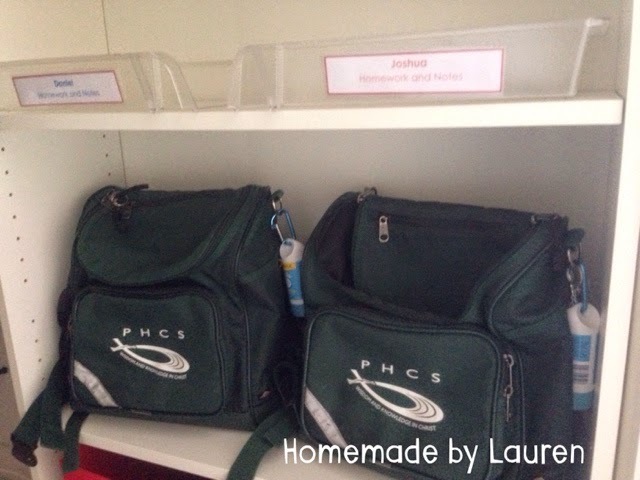 Next post I will suggest some great ways to kickstart your lunchbox organisation ahead of school starting.